The legendary British songwriter hits the road! 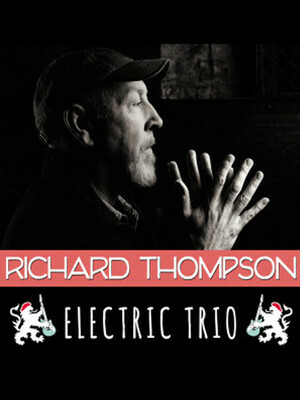 Why See Richard Thompson Electric Trio? Richard Thompson's 'Electric Trio' is composed of himself, bass player Taras Prodaniuk and drummer Michael Jerome. Together they offer up a stripped down, bold interpretation of the Thompson's legendary discography, a catalog which stretches back to the 1960s when he first emerged as a founding member of Fairport Convention. His 1973 album I Want To See the Bright Lights Tonight, a collaboration with his then-wife Linda, is considered one of the decade's landmark recordings. Known for projecting his emotions with his music, his nineteenth solo album follows the same effect, 13 Rivers. Named so due to the album consisting of 13 tracks, with Thompson saying each song is like a river. Some flowing faster than others, and some calm like still water. Seen Richard Thompson Electric Trio? Loved it? Hated it? Sound good to you? 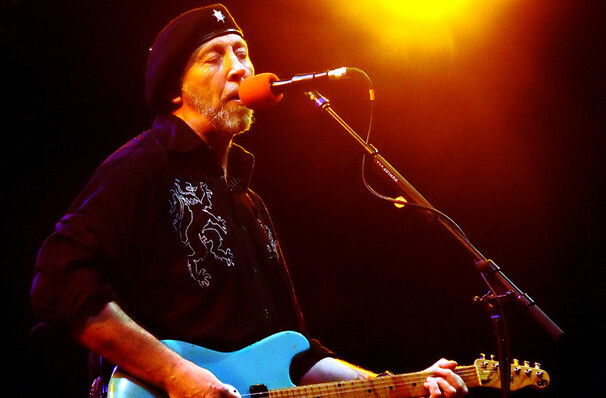 Share this page on social media and let your friends know about Richard Thompson Electric Trio at Headliners. Please note: The term Headliners and/or Richard Thompson Electric Trio as well as all associated graphics, logos, and/or other trademarks, tradenames or copyrights are the property of the Headliners and/or Richard Thompson Electric Trio and are used herein for factual descriptive purposes only. We are in no way associated with or authorized by the Headliners and/or Richard Thompson Electric Trio and neither that entity nor any of its affiliates have licensed or endorsed us to sell tickets, goods and or services in conjunction with their events.